I've been MIA in Vegas with the girls for Allie's bridal shower! Me, Jane, Malm, Allie, and Tanya. 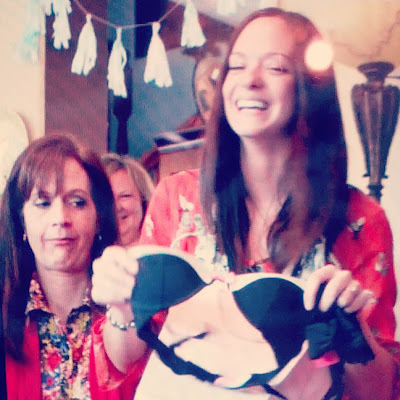 The look on your mom's face: priceless! Oh my gosh, LOVE the look your mom is giving that bra! Too funny!